Archer of Red is the Archer-class Servant of Shirou Kotomine of the Red Faction in the Great Holy Grail War of Fate/Apocrypha. 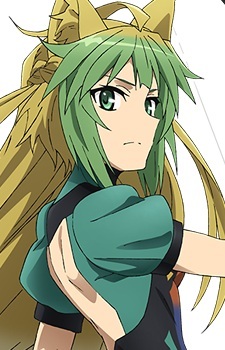 Archer's identity is Atalanta, the Chaste Huntress in Greek mythology. Though she was born as the princess of Arcadia, Atalanta was abandoned in the mountain immediately after birth, but she survived thanks to divine protection from Artemis. She grows into an excellent huntress, and accompanies the Argonauts. As one of the world's most famous archers, she wields Tauropolos: Bow of Heaven, the boar-killer, a celestial bow.